A year or so ago Michelle blogged about alternatives to gcast. One of the websites that she mentioned was yodio.com/. Since then, I have had the opportunity to work with the site a little bit. It is an easy, quick, and free way to create slideshows that include not only your pictures, but your voice. It combines podcasting and digital photography. Teachers can use yodio as a way to track student’s ability to read a piece of text – another fluency check. It can be a great way to showcase a students development not only for yourself, but for students and parents. A note: if you add your phone number from school and that number doesn’t show up on a caller I.D., then it won’t automatically tie into your account. There is a way to add a password when you use that number so that you can access that podcast on your account. For ease of use, this is a great way for students to begin creating personalized products. It has been many, many months since I have last posted, but I decided that I really wanted to post at least one thing over break. I decided to focus on dvolver.com/. This site allows anyone to create a three scene movie with up to two characters in each scene. Students can choose the setting, the background, the characters (and their dialog), the music, their title, and the title theme. It is a great way to allow students to begin working with these concepts in a more sophisticated way. I have had my students create movies explaining an important historical event, a process, and a “how to” video. They were able to select their topics based upon those three criteria. You could have students create a video on virtually anything. Some ideas would include: how to solve a math problem, a biography of a historical figure (or themselves), how to care for an animal or pet, how to play a game, and why something is important. Since my students weren’t setting up an account, they had to create their video in one class sitting. I therefore created a graphic organizer where they selected their scene, background, character, and music selections ahead of time. I also have a place for them to write out their dialog. I found that if I just had them try to create it on the fly, they really struggled with not only finishing it within the class period, but also creating a quality product. Just a small warning before you have your students create their own movies – preview the entire process first. There are several scenes and characters that would not be appropriate for students to use. I do not include those options in the graphic organizer that I created. When I am previewing the site with them, I show them all of the characters and scenes, but quickly point out those that are not O.K. for them to use. I have had no problems with them using inappropriate characters or scenes. The great thing about dvlover is that you can embed the movies. I have my students embed theirs on their personal page on the class wiki. Click here to view some examples of my students’ movies. Since I teach in a K-8 school, I can have my students create movies that can be used to instruct younger students or to extend their knowledge. I try hard to have a purpose beyond just completing the assignment for them to consider. Below is a Jing screencast that I created to explain how to create a dvolver.com/ movie. This screencast explains how to embed your dvolver movie onto a wikispaces page. I have found dvolver to be a great way for my students to create a visual representation of their knowledge. During this summer, I really started thinking about my students’ fluency. As a teacher of LEP and FEP students, increasing their fluency is an important part of moving them toward grade level comprehension. As I always do, I wanted to make the practice of fluency as real world as possible. Luckily, I work in a K-8 building and had developed a relationship with one of the 1st grade teachers. While it probably should have occurred to me earlier, it finally dawned on me that my students could prepare a short book and read it to his class. After discussing it with the 1st grade teacher and ironing out some details, it looked like it was going to happen. I had decided to piggy back on the concepts and content that he was teaching in class to help us determine which books to read. 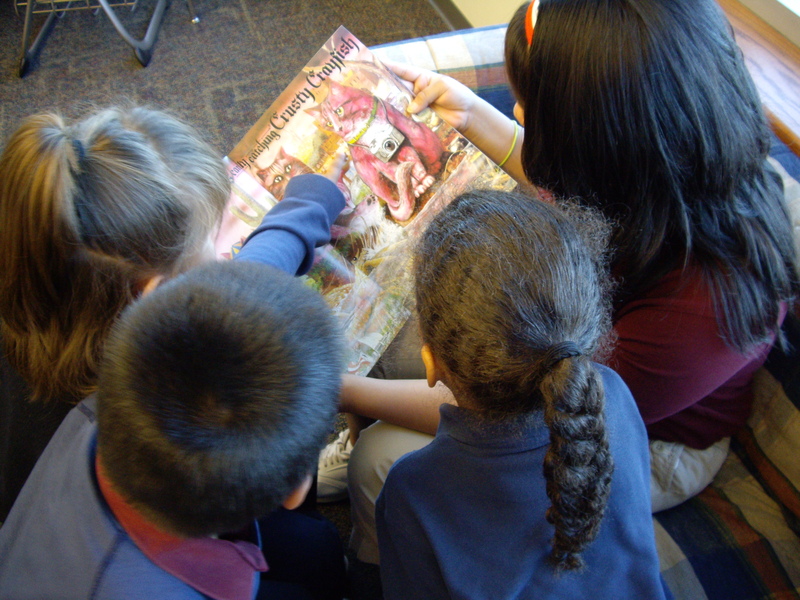 For example, when his class studied family relationships, my students checked out picture books on that subject to read. This was another way that this project could help build some background knowledge and experiences for his students. In this manner, both groups of kids would benefit. For some topics, my students selected from nonfiction texts, especially when it came to science topics. I feel that it is important for my students to learn how to read both fiction and nonfiction as they require different tones and expressions. After our first trip, I decided to step things up a notch, and talked to my students about engaging the 1st graders that they were reading to. We talked about asking questions (both comprehension and connecting questions) as we read the book. In this way, the 1st graders would be even more engaged. It also provided a challenge for my students to come up with interesting, relevant questions for the group that they were reading to. Since my purpose was to focus on fluency, I have videotaped each student read for about 20 seconds each time we visit the 1st grade class. I can then create a video of their clips and track their progress over time. It also allows me to assess how they are reading fiction vs. nonfiction texts. I must say, my students have really enjoyed this experience. They are becoming more and more proficient and one of the benefits is their progress with not only reading out loud, but the level that they must understand the book and its concepts before they read to the 1st graders. While it is helping the 1st graders build their background knowledge, it is also doing the same for my students. During the course of the week, my students select a book to read, practice reading it out loud to themselves, practice reading it out loud to their classmates, read it to me, and write down some questions that they can ask. 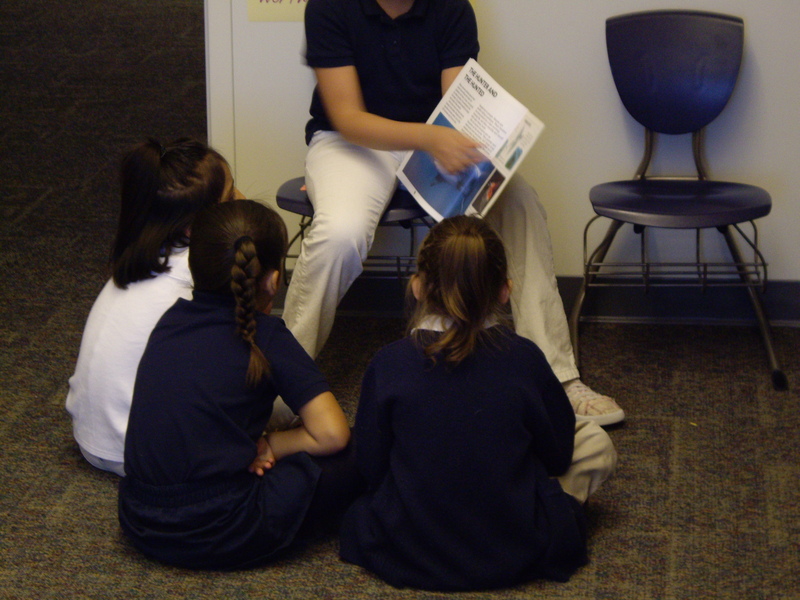 In this manner, by the time we visit the 1st graders, most are proficient at reading their books. I must say that this project has turned out better than I had hoped. It is an experience that my students look forward to. They do not complain about practicing because they know that a real audience awaits them. At this point, they know that the 1st graders will lose interest really quickly if they don’t perform well, so they always strive to keep it engaging. The first graders love it as well, stopping me during lunch to ask when my class will be visiting them. Reading a nonfiction text to 1st graders. In December, a colleague of mine, Kevin Byers, told me about a site that he was using with his students – Ning.com/. I was curious about the site and decided, after talking to him about it for a while, to try it with my students. Over winter break, I created my classroom Ning. I decided that I would keep the site closed so that I wouldn’t have to worry about it being open to everyone. My students had to access the site by invitation only through e-mail, so I decided that I would use their ePal accounts. After returning to school, I got permission from my principal and was ready to begin the process. I first had to teach my students about social sites (which Ning is), how to communicate on them, how to navigate to the site, selecting an avatar, and the list goes on. My students loved it immediately. It was something that they were interested in doing not only every day at school, but also at home. After I had buy-in, I knew that I must keep the purpose of the site academically related. We started by having discussions in the forum section about the books that they were reading. Invitations to join the site were extended to all of my students, but also to administrators and other teachers that were interested in posting information. This became a place where all of my students could communicate. From there, I moved to embedding videos on the site. The first round of videos were based on what my students were studying in social studies class. For one group, a video on ancient Greece, for another, an archaeological dig, and for the last group, Chinese immigration. After watching the video, there was a question and they needed to respond to it. They could also respond to someone else’s comment. I found that this was an engaging way to bring content into my classroom so that I could support building background knowledge. While gcast.com/ was free, I was able to embed podcasts that my students had given over various books so that others could listen to it. Moving into next year, I plan on teaching my students about blogging (as there is a blog feature). I think that this can be a great way to lead into a more technical writing, especially if they begin quoting other sources (which I would like for them to do). If you decide to start your own Ning (which means “peace” in Chinese, by the way), there are several things to keep in mind. 1. Decide if you want your site to be open or closed. As the creator of the site, you have network creator privileges and select the level of security that you want. 2. You can also decide what types of features that you want on the site (videos, blogs, groups, forums, music, events, etc). 3. You can decide the level of control over what information is posted. For some features, you can establish a requirement that the network creator must approve posts. 4. Each member of the Ning has their own page. As network creator, you can decide if they can change the colors on that page (this was something that I did allow). 5. Since my Ning was for academic purposes, I knew each student’s login information. This was not only a safeguard feature, but also one of practicality. I can’t tell you how many forgot their login information. 6. The content of the Ning is really up to you, the creator and to your members. The sky is the limit! I have an old, new favorite. Foldables. I was exposed to them several years ago by a science teacher and used them in my Newcomer Social Studies class when I couldn’t find appropriate materials. 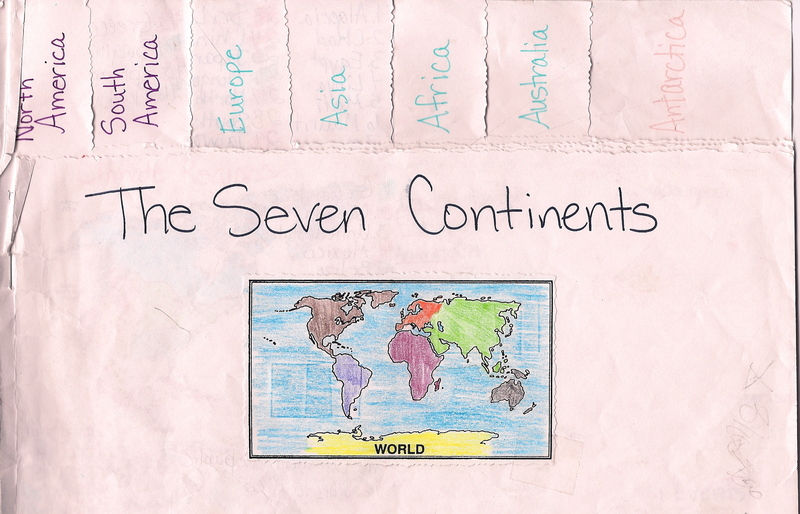 I was working on the 7 continents, the countries within those continents, and pulling facts from text. 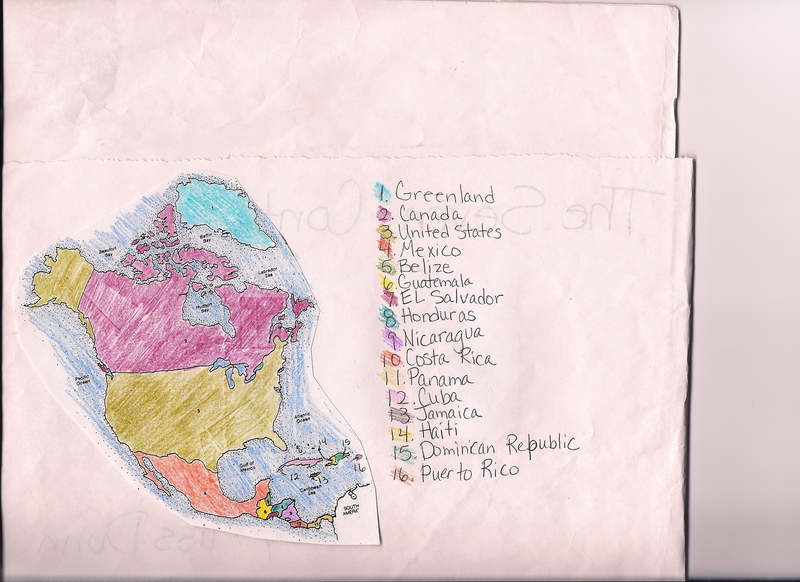 I pulled maps from the Geography Coloring Book which was great because they were small enough to fit into my book. 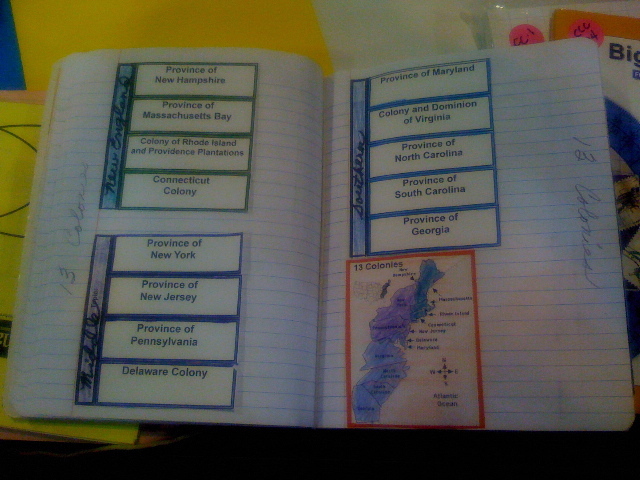 I then assembled a foldable that allowed each continent to have its own two page spread. Each continent had three sets of information: country names, climate zones, and facts about two countries in that continent. They were able to choose the type of information that they found on their countries. They could choose: animals, landmarks, culture, landforms, or historical events. I checked nonfiction texts out from the library to help them find the information. We used an atlas to find the names of the countries. Left side of the continent book with country names.country facts. 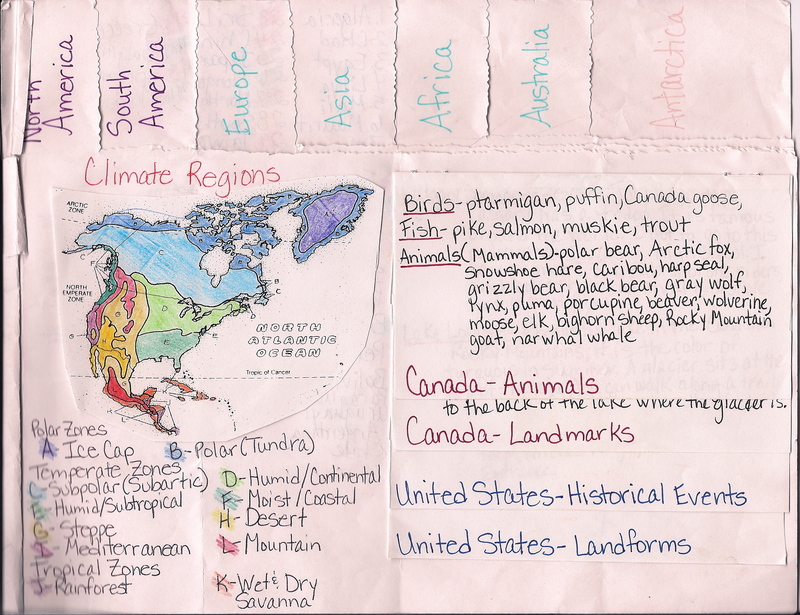 Right side of continent book with climate zones and country facts. By the end of this project, my newcomers were able to search for specific information from nonfiction text, pull that information from text, and use it in their book. As a culminating activity, I had them answer questions using the book as their resource. I was looking to see if they could pull specific information from their own book. This activity was engaging, interactive, and students were able to work at their own pace. A success all around! Since then, I have discovered that Dinah Zike has created many books on the different types of foldables that you can use in classrooms. 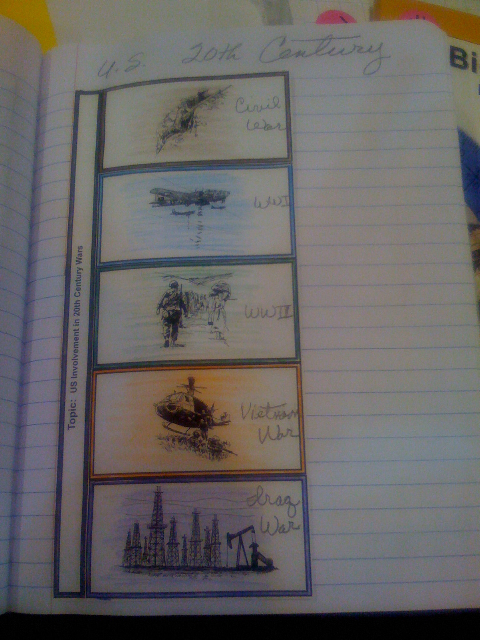 Pictured below are some other social studies examples from her. I purchased one of her books and am looking forward to incorporating these strategies into my classes. I will also be talking about math, science, and language arts foldables that I have created and used in my classrooms.